The Navy, Army and Air Force conduct a casualty evacuation (CASEVAC) response event at Fort Dix, N.J. in August 2016. The Navy tested its common control system during the event to show the potential use of unmanned systems for automated CASEVACs. 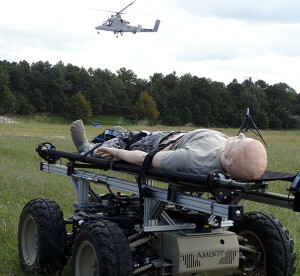 The Navy recently tested its Common Control System during a tri-service demonstration that showed the potential use of unmanned systems for automated medical casualty evacuations. The Navy, Army and Air Force worked with multiple industry partners, including small business, to demonstrate an unmanned helicopter and ground vehicle casualty evacuation (CASEVAC) response event at Fort Dix, New Jersey. “The demo focused on systems and standards working together, specifically mission coordination between the Air Force and Navy systems with Unmanned System’s Control Segment Architecture standards,” said Rich Ernst, open arcitecture support lead. CCS is the Navy’s effort to create a single, common ground station capable of controlling multiple different unmanned vehicles at the same time. CCS operators will be able to control any unmanned vehicle, produce mission plans and manage any onboard sensors from a single ground station. For this particular demonstration, Neya, LLC developed a set of UCS compliant interfaces for data transfer between the CCS and the Air Force’s Common Mission Command Center (CMCC) as part of a small business innovation research effort. 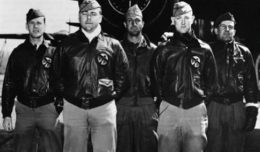 Neya then provided these interfaces to Lockheed Martin and BAE, who partnered to develop the capability to exchange mission plan information between the systems. 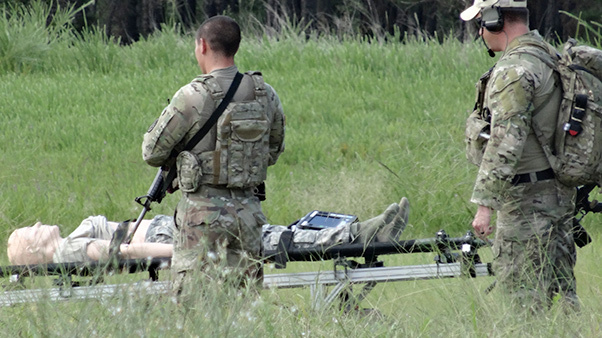 Military personnel participate in a casualty evacuation exercise at Fort Dix, N.J. in August 2016. During the event, the CCS and CMCC were provided simulated medical treatment facilities, casualty collection points and casualty evacuation (CASEVAC) routes for both the K-MAX helicopter and unmanned ground vehicle. This information was then transferred to the Army’s Vertical Takeoff and Landing Tactical Interface (VERTI) controller for the medic’s review and integration with casualty victim’s vital signs data for real time monitoring. Development efforts are underway for CCS integration with unmanned air vehicles but eventually the Navy plans to field it across all domains — air, land, sea and undersea vessels.